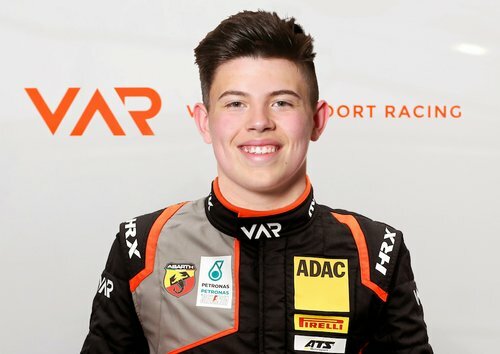 Zeewolde, November , 2018 – Van Amersfoort Racing is very happy to announce German driver Niklas Krütten for the 2019 ADAC German Formula 4 Championship and the Italian F4 Championship. Even though Niklas counts only 16 years of age, he has gained more on-track experience in his F4 rookie year than most of his rivals. The youngster from Trier, Germany competed last year in both the ADAC German F4 Championship and the Italian F4 series, adding valuable mileage to his short, yet impressive career path. Niklas started karting at the age of eight, collected successfully several titles and made the leap to single-seater racing seven years later. In his rookie year the then 15-year-old German successfully climbed the F4 podium multiple times. He finished the ADAC German F4 Championship as runner up in the rookie championship with six wins. The Italian F4 Championship saw Krütten claim third spot in the Rookie Championship rankings. In 2019 Niklas will again attack both German and Italian F4 Championships, adding mileage to his account at high pace. In preparation of both series, testing with Van Amersfoort Racing has already commenced and the first results look promising. The 2019 season of the ADAC Formula 4 Championship contains 7 events with 3 races each. The season kicks off on April 26that the Motorsport Arena Oschersleben. After that the VAR F4 team visits the Red Bull Ring, Hockenheimring and then make their way to Zandvoort located in the dunes of the Dutch coast line. Next stop is the Nürburgring, where after the team returns to the Hockenheimring. The season finale takes place at the Sachsenring in the last week of September (dates and locations still provisional at time of this release).